Our series, Desperately Seeking, has focused on what people frantically pursue yet never seem to acquire. It is in pursuing worldly counterfeits that a vicious circle of dissatisfaction and discontentment is created. While these imitations may promise well-being and contentment, they can never deliver on their promises. So what did we discover while desperately seeking? The first thing we discovered was that we were desperately seeking in the wrong place. Identifying with society, men seek to satisfy their heart’s desires with “tangibles”. Yet each day the tabloids are full of stories of people who by the world’s standard “have it all”, yet still are searching for contentment and peace of mind. It is in the “intangibles” that true satisfaction can be found. King Solomon explains the reason for this disconnect in Ecclesiastes 3:11. It is a matter of the heart: “He (God) has planted eternity in the human heart.” Created in His image, God has made us restless for that which transcends this world. It can only be provided by our Transcendent Creator. Secondly, we discovered that we were desperately seeking the wrong thing. Matthew 6:33 reminds us of a foundational teaching from Jesus: “Seek ye first the kingdom of God and His righteousness”. Jesus’ invitation to righteousness was an invitation to a new way of living—Kingdom Living. Believers are to prioritize and focus on those things which further the Kingdom of God and not their personal agenda. Finally, we discovered that we were desperately seeking for the wrong reasons. Unfortunately many of us believe our life belongs only to us and we can do whatever we want with it. For some reason, we believe that our sole purpose in life is to be “happy.” That is the worldview of purposeful living. However, for believers, Jesus is the model we are to follow if we are to understand our purpose in life (Eph. 2:10) and our role as citizens of God’s kingdom (Phil. 3:20-21). In John 6:38, Jesus clearly articulates His purpose and His role: “For I have come down from heaven, not to do my own will, but the will of Him who sent me.” We are to seek to do the will of God wherever it may lead us. So what have we discovered in our desperate search? As new creatures in Christ (2 Cor. 5:17), we are to no longer live the rest of our time in the flesh for the lust of men, but for the will of God (1 Pet. 4:2). It is in Him that we live, and move, and have our meaning (Act 17:28). We no longer need to “desperately seek” for we have found in God more than we can ever hope for. Only God can satisfy those desperately seeking because God is the only True Source of Satisfaction. Blessed are those who hunger and thirst after righteousness for they shall be filled. In the movie the Pursuit of Happyness, Will Smith plays Chris Gardner, a desperate individual endeavoring to save his family from dire circumstances created by his lack of employment and subsequent homelessness. Chris is given the opportunity for a job on Wall Street by a benevolent mentor who sees in him, not only hidden talent, but a “hunger and thirst” for a better life. When Jesus spoke of hungering and thirsting for righteousness, He knew the impact “kingdom living” would have on individuals in search of a “better life”. Jesus saw individuals who were spiritually hungry, starved by the empty promises of this world. The result was emaciated spirits and dry souls. The world was desperately seeking. To be righteous (dikaios), in a broad sense, describes man as God had originally created him to be—one whose way of thinking, feeling, and acting is wholly conformed to the will of God. The believer’s righteousness is not their own but is the imputed (credited) righteousness of Jesus Christ (Rom. 5:1) and the desire to continue living righteously before God is made possible by Jesus Christ’s presence within believers through the Holy Spirit. It is the Holy Spirit that gives the believer the ability to live right and to do right (Ez. 36:25-27; Phil. 2:13). To “seek first God’s kingdom and righteousness” established the right priority and focus in the life of the believer. With the many enticements and distractions offered by the world, it is easy to understand the lukewarm commitment to the things of God—even within the church. But God demands our love and our loyalty as we seek to live for the furtherance of the kingdom of God. The Apostle Peter reminded persecuted believers of their “new priority” as a result of Christ’s sacrificial death. Jesus’ invitation to righteousness was an invitation to a new way of living—kingdom living; no longer marked by hypocrisy and corruption as seen in the lives of the ruling religious leaders. Jesus invited those who sought God’s righteousness to simply “Come” (Matt. 11:28-30). This invitation would resonate with individuals in familiar terms they could easily understand—hunger and thirst. The world is at enmity with those seeking the righteousness of God. But in spite of the persecution we may encounter or the rejection we may face, it is imperative that we stand firm and give the world the reason for our hope—a living hope that is realized both now and in eternity future (1 Pet. 3:15). Our culture continues to seek answers to the moral and social problems of our day using man’s wisdom. Such efforts are “senseless striving” without first desperately seeking God’s righteousness. O God, thou art my God; early will I seek thee: my soul thirsteth for thee, my flesh longeth for thee in a dry and thirsty land where no water is. Recent news featured individuals who were lost in the wilderness. One story told of a young boy who became separated from his family when he left them in search of mushrooms. In another story, a hiker who left her team experienced a dangerous fall resulting in a badly broken leg. In both stories, their separation from others resulted in fear and despair until they were rescued from their dire situation. The same is true of man when he is separated from His beloved Creator. Without God, man is left to live desperately seeking what only God can provide. To try to do so, can only results in fear and despair. Therefore the logical way to end this desperate dilemma is to seek God. In Psalm 63 David shares his despair as he finds himself separated from God. It is here that we find David desperately seeking God. The historical context for this psalm can be found in 2 Samuel 15. David’s despair is the result of his son Absalom’s conspiracy to steal the kingdom from his father. Fearful of the potential shift in power, David vacates his throne in Jerusalem and heads to the wilderness of Judah. While David was in fact, in a physical wilderness, the wilderness he speaks of in this psalm describes metaphorically his desperate longing for God. It provides a powerful outline of how to find God. 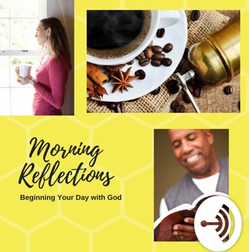 First, David spiritually reconnected with God. David’s desire for God became the first thing he sought when he rose in the morning. His soul—his mind, will and emotions—thirsted for God. His flesh responded to this insatiable thirst in a strong longing to be with God. Do you thirst for God? How do you connect with God? Are you intentional in your making “quality time” for Him or does He only get a quick bible verse reading when you have time? Next, David recounted His previous experiences with God. Though David had never seen God physically, he had personally experienced God’s power and glory through nature and His attributes. He knew God’s love and mercy as he tended to his father’s sheep as a young boy (Ps. 23). David was witness to God’s protection as he faced the giant Goliath (1 Sam. 17:49-51). David knew the source of his success in battle against Israel’s enemies (1 Sam. 18:5, 7). David knew the power of God’s presence. Finally, David relinquished His will to God. Though a mighty king, David humbled himself to God knowing that the only way to reverse his situation was to totally trust and depend on God for all his needs. Christian pastor and author, A.W. Tozer, identified the root cause of man’s dissatisfaction resulting in his continual search for that which he “cannot have”. In today’s society people are desperately seeking relief for their spiritual thirst. They are searching for life options they feel will satisfy their needs through hedonistic pursuits, spiritual experimentation, and material gain. These efforts unfortunately never satisfy and often result in further despair and darkness. Because David desperately sought God first, he was able to experience a confident assurance that would have been impossible through human seeking or striving. God our Father and Creator knows and possesses what is needed for spiritual and emotional “dryness”. Only God can truly satisfy. It was in seeking God that David found spiritual relief for his thirst.